this time we stare to the moon. It has gotten a lot of attention in the last few days. Not only is moon dust the object of desire and was sold for 1.8$million but also the solid-gold model of a lunar module which has been stolen from the Neil Armstrong Museum in Wapakoneta, Ohio. Now let´s have a look on past moon related news. The futuristic ambitions I have mentioned above need well tested techniques and technologies you have to rely on. That is why moonlike testbeds for robots are so important. ESA is testing a few robot iterations on Tenerifian soil. The Rover Autonomy Testbed (RAT) is part of ESA’s Lunar Scenario Concept Validation and Demonstration (LUCID) project and is led by the Spanish aerospace company GMV. The DLR is doing research on how to use moon dust for future habitats. 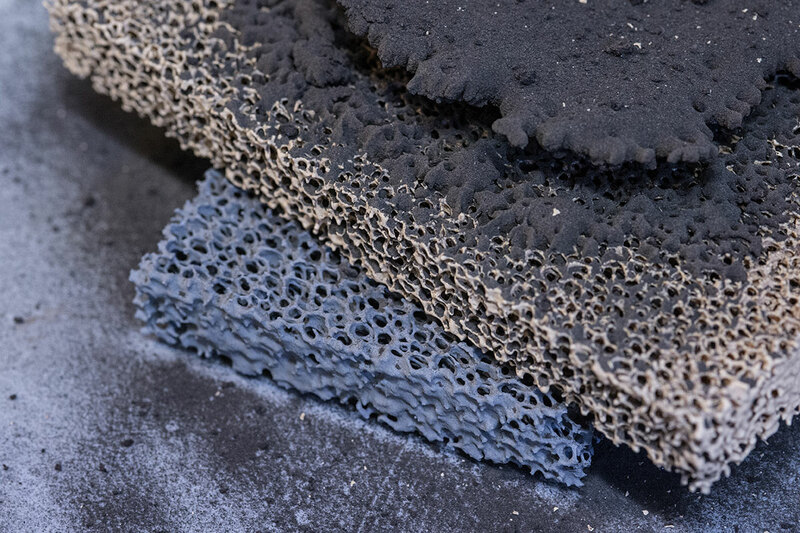 In an interview Prof. Matthias Sperl describes how printed regolith could look like and how far they have come with their work. To place a lander and two rovers on the moon and establish a communication and transport infrastructure is the long term focus of the Berlin based PT Scientists. Robert Böhme and his team are now seeking for partners in the Middle East. Obviously, Elon Musk is one of the biggest visionaries with a huge impact on our society. With his inventions and ideas, he encourages many people to be creative and effective. At the 2017 International Space Station Research and Development (ISSR&D) conference in Washington, D.C he said „To really get the public real fired up, I think we’ve got to have a base on the moon,“. There are people out there who are already talking of a moon gold rush (Digital Trends wrote an article about that). It is not surprising that the International Institute of Space Commerce (IISC) – the world’s leading nonpartisan think-tank dedicated to the open source study of the business, economics, and commerce of space – is already thinking about space business plans. Weekly they will publish a paper with moon related action plans. MOBIUS: An Evolutionary Strategy for Lunar Tourism is their first one. Maybe one of the future IISC papers will deal with this topic: How to commercialize water on the moon? The Brown University could demonstrate that on the moon is more water as we thought. Now we can give you detailed information about our next event. On September 3rd from 10am to 5pm we will start with a morning boost session together with h-aero at the DroneMastersConvention. There you can see a presentation next to the flying h-aero. The convention will take place at the Trabrennbahn Berlin Karlshorst. We have organized a limited free ticket contingent for 50 NSV attendees. They are valid for the entire event. You can visit the following drone marathon and the ceremony with the Federal Minister of Economics, Brigitte Zypries. On Friday, 4th August we will hand out the links for the first 50 attendees in our Meetup group. Just sign up und you will receive an update with the link. If you are too late you can buy a regular dronemasters convention ticket for 9€ with this link. On September 15th – 17th you should visit the INNOSpace Weekend. With advisory from experts, front end developer and marketing experts by your site you can turn your ideas into reality. To save 10% for the INNOSpace Weekend in Cologne go to InnoSpaceWeekend and use our promotional code: „NewSpaceVision„. Have you ever wondered how to combine physical space objects with augmented reality? Lunar AstroReality have set up an Indiegogo campaign and have easily broken through their funding target. They use top notch 3D printing technologies to form their lunar objects, paint and sell them together with their stunning augmented reality app. With this piece of advice, I am going to leave you and vanish into my space-news-tab-chaos to watch out for the next interesting newsletter topic :). Tell us what you think about our newsletter. We would love to hear your feedback! PS: We are looking for a Social-Media-Person! We hope you like our content and we want to bring it to more people by spreading it on the social networks we are present on! If you want to learn about NewSpace topics, learn about social media strategies, tools like Buffer & Mailchimp and want to help us, we would be super happy to hear from you info@newspace.vision! NewSpace in Europe #3: Space Data is the new Oil!